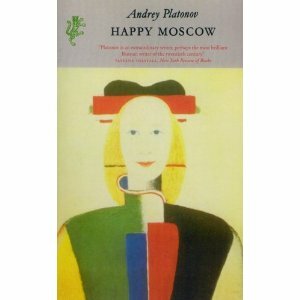 It is the second time I have read Happy Moscow; though, this is a new translation. The novel really does have the most unique and unusual atmosphere – in the same vein as ‘Soul’. This was unfinished and so it is likely that there would have been a substantial amount of changes. Platonov moves his prose about as though it is a socialist realist movie camera. He follows minor characters for a while, who often never reappear, and then latches on to another character as they come in contact. I really wonder where the novel would have ended up had it been finished. Reading this book made want to learn Russian. I want to see how exactly how the strange atmosphere is invoked and compare this to Pushkin with his French sentence structure, and Lermontov. The linear way the novel moves from one character to another is similar to reading habits: one writer leads to another and you follow them for a while until you catch another, sometimes they lead back to the original author but you were changed by the writers you followed in-between – and then you follow another. ‘Soul’ remains my favourite Platonov followed by the stories in ‘The Return’. I have a new translation of ‘The Foundation Pit’ and so will re-read that in the next while. I really need to understand exactly how Platonov creates such an atmosphere in his strange world. 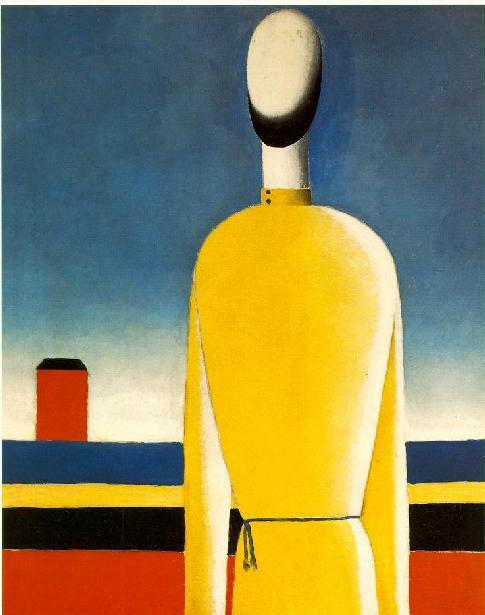 In the mean-time here is a picture by Malevich which is a window into Platonov’s ‘Soul’ novel.